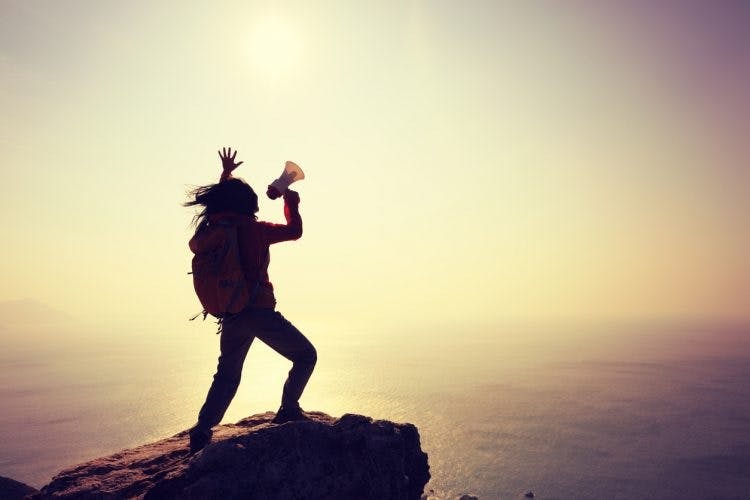 Learning to Speak Again After Brain Injury & Find Your Voice! Learning to speak again after brain injury might seem impossible sometimes, but it is something many traumatic brain injury survivors have accomplished. It can be overwhelming thinking about what needs to be done to recover your speech. You probably are wondering where to even begin! Don’t worry, you won’t need to figure it out all on your own. This article will help break down everything you need to know about learning how to speak again after brain injury, starting with evaluating your condition to exploring the many different therapies available. Language problems are just one of the many possible effects of traumatic brain injury. If you have suffered a brain injury and have trouble speaking and forming words, this is most likely because your injury caused damage to the left side of your brain, which controls language. But thanks to your brain’s natural ability to heal itself – called neuroplasticity – you should not lose hope of ever speaking again. In fact, many brain injury patients do regain their ability to speak, after participating in therapy. The road to recovery will not be easy or smooth, but it will be worth it if you stick to it. So how do you begin re-learn how to talk? The first step is to evaluate your needs. It is important that you identify which areas involved in speech you are lacking in, so that you can focus specifically on that. You also are going to want to figure out what types of language disorder you have. There are three types of language disorders you can experience after a brain injury: dysarthria, apraxia of speech, and aphasia. Dysarthria is where the muscles used for speech are weakened or paralyzed, leading to slurred speech. Apraxia of Speech is where a person has trouble saying words correctly. With apraxia, the muscles are not affected like they are with dysarthria. Instead, the brain pathways involved in planning the movements used in producing speech are affected. Aphasia is where a person may have trouble remembering certain words or understanding what others are saying. Reading comprehension can also be affected. 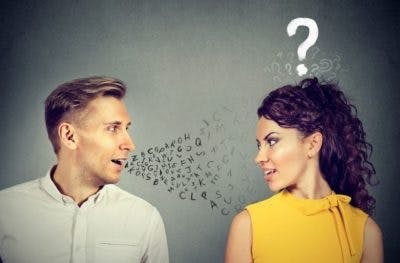 If you find yourself slurring your words often or find some things difficult to pronounce, but you know exactly what you want to say, then you most likely have dysarthria. If you sometimes mispronounce common words, even though your muscles are working fine, you probably have apraxia of speech. If you find yourself constantly searching for the right word, and/or confused by what others are saying, you probably have some form of aphasia. It is also possible to have a combination of two or even all three of these disorders. This is why it’s always a good idea to see a professional speech therapist so they can give you a proper diagnosis. Once you have been evaluated and know exactly what is preventing you from speaking, you can move on to the next step: exercise. Learning to talk again will require one main thing, no matter which disorder you have: retraining your brain to control your speech. You will do this by engaging neuroplasticity, which allows your brain to form new neural pathways. Basically, your brain rewires itself to allow healthy portions of the brain to take over functions that damaged areas can no longer control. How does it do that? Through lots and lots of repetition! The key to regaining your speech is to practice speech therapy exercises several times a day. Repetition is the best way to engage neuroplasticity, as it trains the brain and causes it to rewire itself. Not all of the speech exercises involve actually speaking though. When weak or uncoordinated muscles are part of the problem (such as in the case of dysarthria) speech therapists will often recommend using oral-motor exercises. There are also passive stretching exercises you can use on your mouth that will help increase flexibility, improve blood flow and increase communication between the brain and muscles. As you continue to practice, you will activate your brain’s neuroplasticity and you eventually can learn how to talk again. This is especially important for those of you with dysarthria, because repetition will help restore muscle strength in your mouth and tongue. But what if you can’t even speak at all? Does that mean you are out of options? Actually no! There are ways of regaining speech even when you have trouble uttering a single word. And one way to do so is through…singing? Yes, it’s true! Singing therapy is a real thing and can be used to help restore speech after brain injury. This is because singing engages the right side of the brain, whereas speaking utilizes the left side. 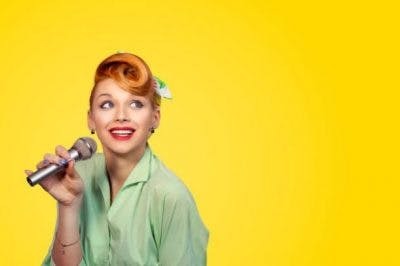 Since most speaking disorders are caused by damage to the left side of the brain, the side that controls singing is left intact. Meaning that even if you cannot speak, you probably can still sing. Brain injury patients who have used singing therapy have shown great improvements in articulation (mouth movements) and sentence production. So if you find common speech therapy exercises too difficult, perhaps you should give singing therapy a try. Who knows, you might even find out you’re a great singer! No matter how severe your injury is, it can be hard to relearn how to speak on your own. There will be days where you may feel like you are not making progress in your exercises, and you may be tempted to give up. This is why it is always helpful to work with a speech therapist who can encourage you and guide you in the right exercises. A speech therapist can help you with the techniques we learned about in this article, and help keep you on the right path towards recovery. They work with all areas of speech recovery, and can give you the specific advice and care you need to recover your speech. Even if you feel pretty confident that you can do things on your own, everybody needs help sometimes. Think of a speech therapist as your own personal coach who will help you get to the finish line. Of course, sometimes seeing a speech therapist isn’t an option due to insurance or other financial burdens. Luckily there are still ways to get speech therapy at home through speech therapy apps. While the apps can’t really replace the one-on-one care you get from a speech therapist, they are often the next best thing. Recovering the ability to speak is one of the most important steps in Traumatic Brain Injury rehab programs. Speech is how we connect with each other and communicate our thoughts, feelings, and needs to others. Hopefully this article has shown you that not only is it possible to regain your speech, but that if you work hard enough, you have a good chance at recovery. Whether you use at-home speech therapy exercises, singing therapy, or work with a speech pathologist one-on-one, you can have hope that you will learn to speak again after brain injury. 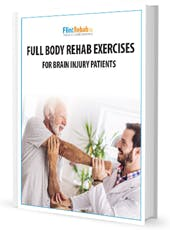 Get instant access to our TBI recovery exercise ebook with 13 pages of exercises by signing up below! You'll also receive our weekly Monday newsletter that contains our latest articles on TBI recovery. We will never sell your email address, and we never spam.